'APOLLO' Breed: Yellow Lab Mix Age: Approx. 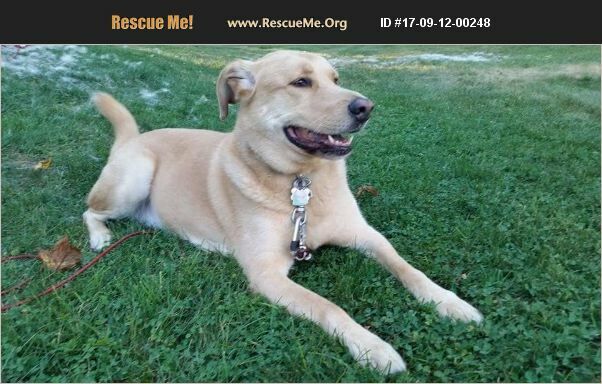 8 years old Weight: 85 lbs Male, Fixed, House-broken, Micro-chipped You will enjoy this handsome, athletic, young-at-heart, happy 'lab' dog in your family. He loves hiking, walks in the park, running, and if given the chance, chasing bunnies and squirrels. Apollo has had a comfortable and consistent life in the last 7+ years, living with a young child now currently 5 years old. Given the proper guidance and exercise, he is able to remain calm inside the house and around children without issues. He can be easily excited and wants to play with high enthusiasm. There are no other pets in the home, though his doggie day care tells us he enjoys playing with other dogs (a lot!) and plays well with small dogs too. No experience with cats, so not sure. He is a short-haired dog that sheds, but very low grooming maintenance required. He is up to date on all shots as required by doggie day care. Apollo was adopted from a shelter in the summer of 2010, estimated to be 1.5 years old. Unfortunately, our family circumstances have changed and we can no longer care for Apollo adequately. We want to find him a loving, terrific forever home. Overall, Apollo is a sweetheart. He really wants to play and be happy all the time with you!